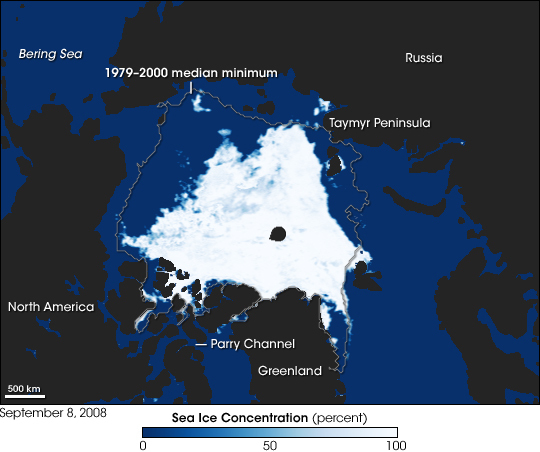 As of the first week of September 2008, Arctic sea ice extent had not fallen below the record low observed in 2007, but the season set a new kind of record. 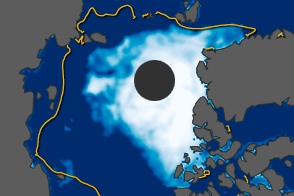 For the first time in probably half a century—and definitely since satellite observations began about three decades ago— sea ice retreated enough to create open (not ice-free) waters all the way around the northern ice pack. 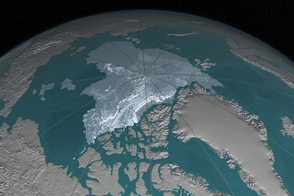 Open water is defined by the World Meteorological Organization for the purposes of navigation as areas where the ice covers less than one-tenth of the surface. 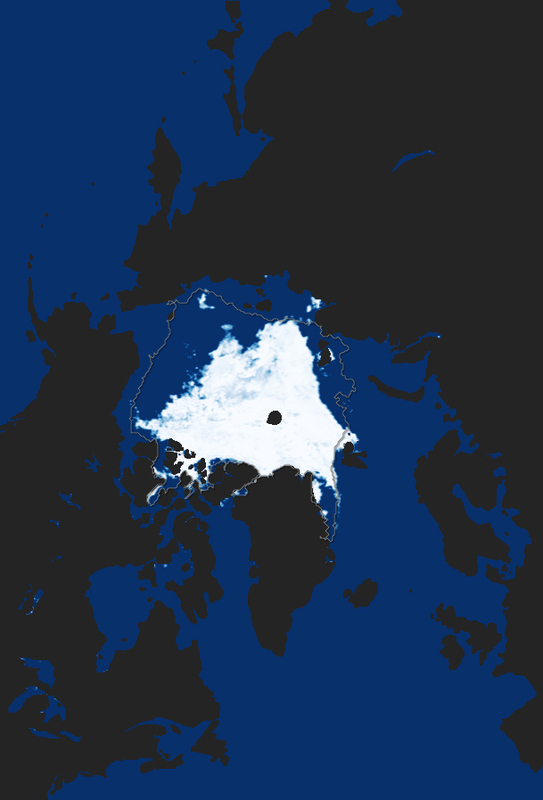 NASA image created by Jesse Allen, using data obtained courtesy of the National Snow and Ice Data Center (NSIDC). Caption by Rebecca Lindsey. Revkin, A. (2008, September 6). 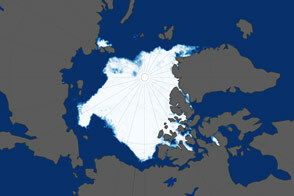 Arctic Ice Hints at Warming, Specialists Say. NYT.com. Accessed September 8, 2008. U.S. National Ice Center. (2008, September 5). The Northern Sea Route (Northeast Passage) appears ‘open’ as of Sep 4th, 2008. Posted on NYT.com’s Dot Earth blog. Accessed September 8, 2008.